The 40th Ryder Cup is coming to Scotland’s Gleneagles PGA Centenary Course from Sept. 26-28, 2014. Don’t think of this as something of interest only to a narrow niche of golf enthusiasts. 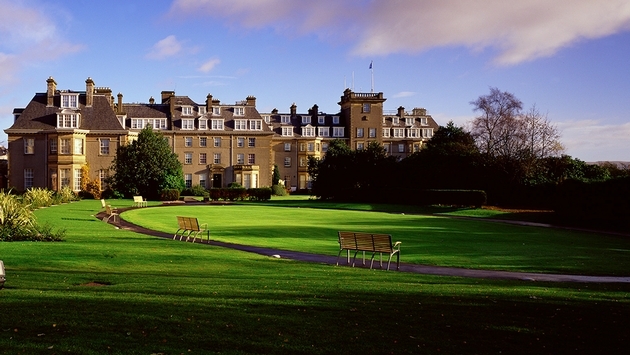 VisitScotland believes the event will bring 250,000 visitors (10 percent of them American) to Gleneagles. “The average Ryder Cup visitor will spend six to 10 days in Scotland touring the whole country with the Ryder Cup being just a piece of the program,” says Robbie Clyde, Ryder Cup project director for EventScotland. The Scots are investing about 10 million pounds in promoting the event and part of the investment will go into a performance at Glasgow’s Hydro Arena featuring both Scottish and American performers from the worlds of Pop, Rock, Folk and Classical. The Scots hope to get major TV coverage for the show and can count on millions of viewers to watch the Ryder Cup itself in which American pros play a European team. In December, Glasgow will also host the Duel in the Pool, a Ryder Cup-style swimming event pitting European swimmers against U.S. swimmers. The course underwent an extensive set of improvements under the directions of its original designer, Jack Nicklaus. Over 50,000 tons of earth was moved, 30,000 square meters of turf laid and 1,000 tons of new sand used in the bunkers. The Gleneagles Resort just completed a $1.6 million renovation. In 2011, it invested $4.7 million on upgrading its Dormy Clubhouse. They also installed a new outdoor whisky and cigar bar, The Blue Bar, later that year. Gleneagles Resort is offering the Ryder Cup Celebration Golf Break including luxury accommodations at Gleneagles, Scottish breakfast daily, a round of golf per person on either the PGA Centenary Course, the King’s course or the Queen’s course and more. 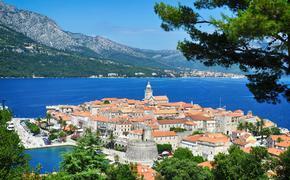 It’s priced from £470 ($741) per room, per night, based on double occupancy through March 31. The next Ryder Cup will be in Paris and Turkey has applied to host the 2022 Cup. Though the Antalya region would be a natural, it’s technically not in Europe. No problem, say Turkish officials, who’d be willing to build a course to the west of the Bosporus.